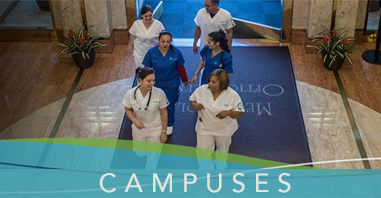 Medical assisting have many roles in a doctor’s office or clinic. Now according to the American Association of Pediatrics, being a chaperone during an exam on a child or teenager is another vital role for a MA to fill. For at least the past two years it seems like every time I need to visit my primary physician or OB-GYN, there is always a medical assistant in the room. I never questioned it because I know that in this world of lawsuits, it’s better to CYA (cover your behind). Sometimes the MA helps to assist in taking notes or aids in a minor procedure, but more often than not they stand awkwardly in a corner diverting their eyes. Although physicals are never fun for me, I know they are just as uncomfortable for the MAs. In a new policy statement put out by the American Association of Pediatrics for their May 2011 issue, it was stated that medical chaperones should be provided for adolescents in the exam room. “’The chaperone should be a nurse or a medical assistant,’ said Dr. Edward S. Curry, who led the AAP committee that wrote the new statement. The chaperone should not be the office secretary, he told Reuters Health, or a friend or other family member of the patient. The report commented that a secretary should not be issued this task due to patient confidentiality. Also, a friend or family member should not be in the room in cases such as suspected abuse or if a parent is not mentally stable. “The point of chaperones is to help protect both children and pediatricians, Curry said. Sexual abuse by pediatricians is ‘rare,’ he noted, but it does happen. On the other hand, young patients could misunderstand a doctor’s appropriate behavior during an exam and accuse him or her of abuse,” explains Amy Norton on Rueters.com. 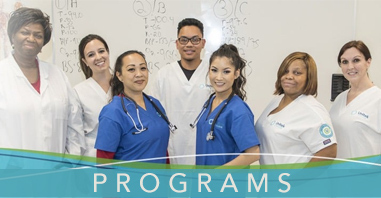 If you are in a medical assisting program in the San Francisco Bay Area, it is clear that medical assistants have many roles in the health care field. As more chaperones are needed and as doctors need more assistance, Medical Assistants will need to have a diverse skillset. Hmm it looks like your website ate my first comment (it was super long) so I guess I’ll just sum it up what I wrote and say, I’m thoroughly enjoying your blog. I as well am an aspiring blog writer but I’m still new to the whole thing. Do you have any tips for inexperienced blog writers? I’d really appreciate it. Thanks a lot for being our lecturer on this subject. We enjoyed the article Medical Assistants’ Important Role as Chaperone During Exams | Unitek College Blog very much and most of all appreciated the way you handled the areas I considered to be controversial. You happen to be always very kind towards readers much like me and let me in my lifestyle. Thank you.